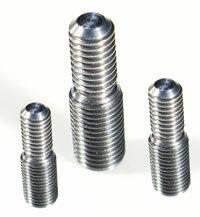 Custom-made, stainless steel step studs, with allen wrench sockets on both ends, are used to adapt different sized threads on horns and boosters. They can extend the life of the horn when re-tapping the stud hole becomes necessary. These .030″ thick washers help to improve the interface and eliminate galling between horns and boosters. 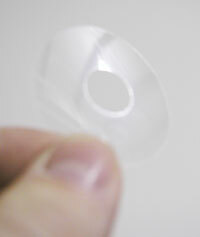 These 1-1/2 OD mylar washers can also be used at the horn’s interface.